Big data makes organisations smarter and more productive by enabling people to harness diverse data types previously unavailable, and to find previously unseen opportunities. However, Gartner analysts said big data poses big challenges as well - and that's where enterprise architects can help. As navigators of strategic change, the task for EA practitioners is to chart the right course for big data across the most critical dimensions of the organisation: business, culture, talent and technology. "Traditional approaches to EA are significantly impacted by big data," said David Newman, research vice president at Gartner. 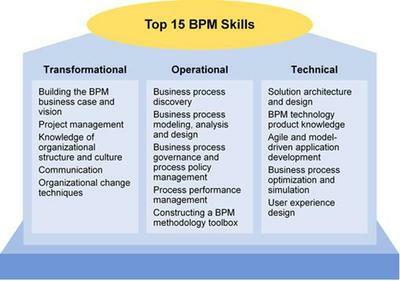 "For the EA practitioner, the balance shifts from a focus on optimisation and standardisation within the organisation, to lightweight approaches that focus on harmonisation and externalisation across the broader enterprise ecosystem. Big data disrupts traditional information architectures - from a focus on data warehousing (data storage and compression) toward data pooling (flows, links, and information shareability). In the age of big data, the task for the EA practitioner is clear: Design business outcomes that exploit big data opportunities inside and outside the organisation. A major challenge is how organisations will attract and retain the right talent that exploits big data. Among the most sought-after role is the data scientist - a role that combines domain skills in computer science, mathematics and statistical expertise. EA practitioners can help their organisation address this challenge by producing a resource planning deliverable that identifies big data skill gaps across business teams. Practitioners should also assess resource needs among information infrastructure teams, and identify technical gaps when supporting big data solutions. Gartner analysts will discuss how to manage EA in the nexus of change at the Gartner Enterprise Architecture Summit 2012, taking place from 14 to 15 May in the UK, London, and in the US from 23 to 24 May in National Harbor, MD. For further information about the Summit in London, please visit www.gartner.com/eu/ea. For further information about the Summit in Maryland, please visit www.gartner.com/us/ea Additional information from the event will be shared on Twitter at http://twitter.com/... and using #GartnerEA. 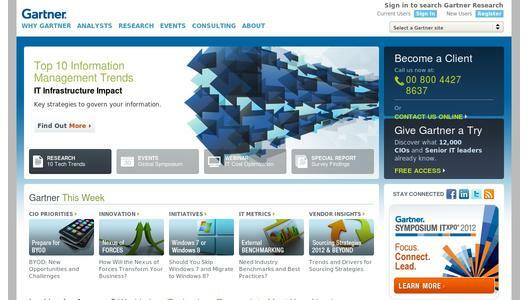 Gartner, Inc. (NYSE: IT) is the world's leading information technology research and advisory company. Gartner delivers the technology-related insight necessary for its clients to make the right decisions, every day. From CIOs and senior IT leaders in corporations and government agencies, to business leaders in high-tech and telecom enterprises and professional services firms, to technology investors, Gartner is a valuable partner to 60,000 clients in 11,500 distinct organisations. Through the resources of Gartner Research, Gartner Executive Programs, Gartner Consulting and Gartner Events, Gartner works with every client to research, analyze and interpret the business of IT within the context of their individual role. Founded in 1979, Gartner is headquartered in Stamford, Connecticut, U.S.A., and has 4,500 associates, including 1,250 research analysts and consultants, and clients in 85 countries. For more information, visit www.gartner.com.